Schorr Lake Vineyards officially began in 1994 when we planted the first section of our 7 acre vineyard. We now have a total of 16 varieties of grapes. We also grow our own blackberries. The vineyard could never have become a reality without the efforts of many friends and family members. Although a tremendous amount of hours have gone into its' creation, it has been a labor of love and fun for all those who have been involved. 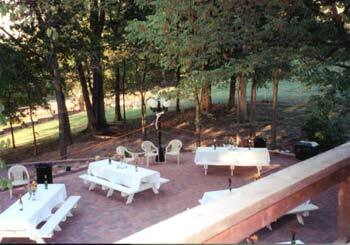 The winery became bonded in September, 1997 and opened in October, 1998. Paul, however, has been practicing his wine-making skills for the past 18 years. The winery also has been an effort of friends and family and remains so today. New friends are always welcome to try their hand at picking grapes, wine making, bottling or any of the many other chores involved in achieving our finished product. When we decided to open a commercial winery, some very careful planning and decision making preceded our efforts. One of the decisions that we made and feel very strongly about is our ongoing commitment to quality. All wines produced at Schorr Lake are estate grown and estate produced. By producing all of our own quality fruits, we can be assured of the highest quality, most consistent product possible. We invite you to relax, sample our wines and enjoy your visit with us.